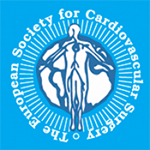 The medical association Hamburg (Landesärztekammer Hamburg) will provide a total of 20 CME credits for attendees. Certificates of attendance will be provided after the course. We are happy to announce that Aortic Live 2017 starting on 23-10-2017 in Hamburg, Germany has been rated compliant with the Medtech Europe Code of Ethical Business Practice. This decision is posted on www.ethicalmedtech.eu.